How Does Botox Work? 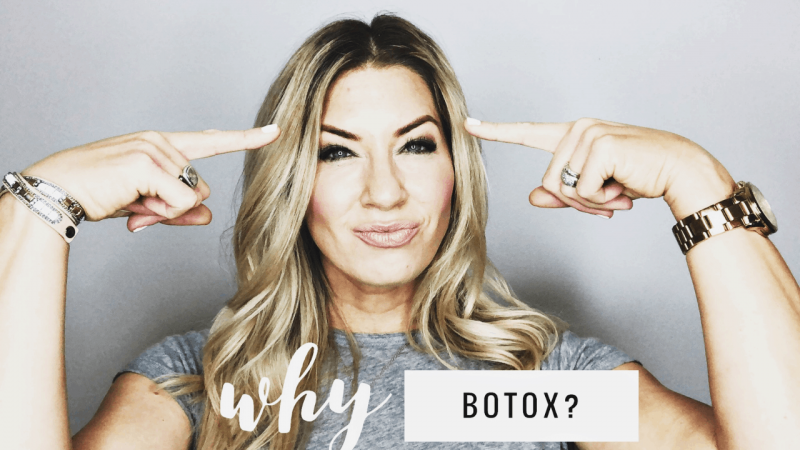 Why I Got Botox And Why It Works! Hi my name is Stacy and I am 40! Which means that Botox is my new best friend. So is Dr. Bryan McIntosh, (@drbryanmcintosh on Instagram), as you can tell from the video! I wanted to make this for you so you can watch Botox in action. The needle is scary but it doesn’t hurt much at all. I had my first Botox experience when I was 36 and I didn’t notice a huge difference but it did feel good to know that I was doing a little age prevention. I did it again when I was 38 and currently I have been going in every 4 to 5 months keep everything fresh and in place. Here’s my honest thoughts about it, I love the way it makes me feel like I’ve been getting really good sleep at night. I like the way it keeps my eyes from looking really tired and saggy and I also like that I know I’m preventing deeper wrinkles from forming by keeping those muscles from moving so much. Every time I leave the doctors office I get a new lease on life. Almost that same feeling like you’ve gone to the mall and spent $500 on new clothes. It gives me that same high if you well. Retail therapy and Botox therapy, it feels the same. Have you done it? Did you love? Leave me a comment.